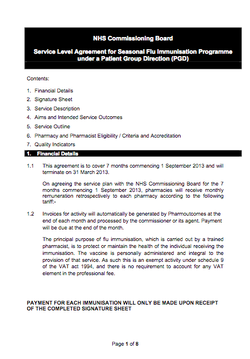 Please find below the resources you need to and administer the 2014-15 NHS flu service. These resources are for Pharmacists operating in Cumbria, North of Tyne, Gateshead & South Tyneside and Sunderland LPC Areas. 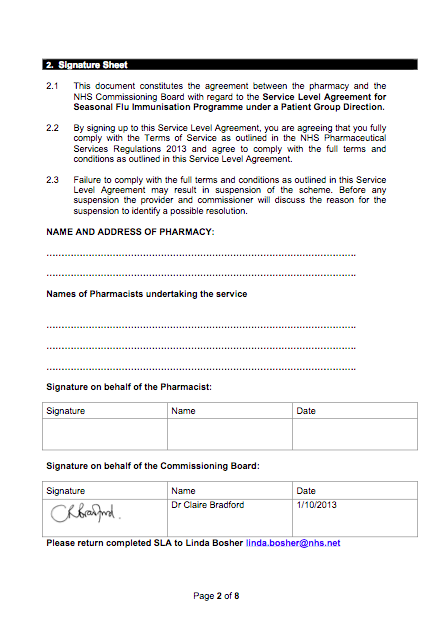 Please ensure you fully read and understand the SLA document especially to understand which patients will be eligible to receive the service. 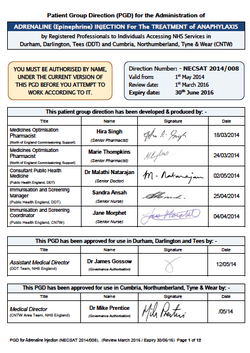 The PGD is the document that give you the authority to give the Flu vaccination.